Land of the Free, Home of the…Oppressed? It seems like everything we hear about the 2016 presidential campaign is totally negative. Turn on any network news channel and you hear two names, how much support they have, and where they sit in the polls. However, interestingly enough, talk to nearly any person on the street and you will find severe distaste towards the traditional nominees. It is as if your vote only matters if you vote democrat or republican. This, in turn, has caused a third group of people to become even more frustrated. This third group of people believe that your vote still matters, they still believe in democracy. This post is a departure from my usual content, typically filled with cars, irreverence, and whatever wild blog-schemes I think are hilarious. In fact, I believe so strongly in this post, that it has motivated me to actually update my website. This is not a post endorsing any particular candidate, although a quick visit to my Twitter page will give up that poorly protected secret. This post exists simply to plea to you that you don’t have to choose between two evils! That if enough people believed that their voice could be hear, that it actually could! I’m obviously talking about voting for a third party. I’m not so obviously inferring that the very term, “third party,” reveals the ignorance that surrounds our country’s political scene. When someone mentions a third party, they are immediately discredited. No one believes that anyone outside of the establishment has the ability to do anything. 2016 can be a turning point, or it can just be another step into the dark path that we have been headed down for so long. The fact that many believe the majority of populace of the United States of America, the melting pot of the world, can be grouped into just two parties is simply insane. It’s even more insane than the guy who thought the Pontiac Aztec would be a good idea. More insane still than the person who thought Orange Crush flavored Pop Tarts were something that people actually wanted to eat. Are we that simple minded? The most beautiful thing about the USA, the one fact that makes the rest of the world envy us, is that you can come here and be whomever you want. This is a country where you can build a name for yourself with hard work!It’s a place where people flocked because they had opportunities to be themselves, and a departure from the repression and tyranny they were used to their whole lives. Can a country built by the hands of many really be well represented by two, extremely outdated and corrupt organizations? Absolutely not, but how did we fall into this rut? Why do we tell people that when they vote for a non-establishment candidate, they are just throwing away their vote? Why don’t they see that voting against your own beliefs is the only actual way to throw away your vote. What we need are political parties that each one of us can endorse. If you feel one way, there’s a great chance someone else does too! Find them, befriend them, join them! Only once we believe in ourselves, can we believe that together we can make an actual difference. Imagine a 2016 election, where instead of two terrible candidates getting all of the spotlight, there are five or six candidates, one of which you might actually want to vote for! Imagine not having people disregard your opinion because you aren’t a democrat, or a republican. Imagine watching debates where real, valid candidates could discuss issues without all of the nonsense and petty arguments. It could happen, but we have to be willing to make our voices heard. There are so many questions I wish I could answer, if only to understand how we got to the point, where people in the greatest democracy in the world are brainwashed into thinking we don’t really have a say. If you really, truly, believe in what Donald Trump, or what Hilary Clinton stand for, I don’t want you to think that is wrong. But maybe you don’t, maybe…JUST MAYBE, you want your own voice to be heard. Come November, don’t be afraid to check one of the other boxes on the ballot. You might just help change the world. Yes, that is an actual Abraham Lincoln quote. Look it up. When did trucks become luxury vehicles? Who thought it would be a good idea to make a truck that has a 360 degree camera, massaging seats, and an automated parallel parking system? Who cares!? Luxury trucks are the epitome of having it all. Want to be in total comfort but also pick up your new poolside sculpture of a pair of dolphins? The F-150 Platinum is the solution to all of your problems. If you’ve ever wanted a list of reasons to treat yourself this holiday season, my friend you’ve come to the right place. By my mathematical calculations I have concluded that there are five reasons you needed to be in a top of the line f-150, yesterday. Since when did a truck with an MSRP in the neighborhood of $60,000 represent a value? How about when you save $10,000 over the price of base V8 BMW X5, or when your bank account is $32,300 dollars richer because you got the F-150 rather than a base model Mercedes Benz GL550. You also wouldn’t want to put 2100 lbs. of wet, seaweed covered gold doubloons from the shipwreck you just discovered in the back of either of those cushy SUVs. Trucks by nature are vehicles built to work. Adding some excellent leather, huge chrome wheels, and cutting edge technology doesn’t change that simple fact. The two trucks that we had as store manager demos in our inventory here at Bill Marsh Kalkaska both have heated/cooled seats and a twin panel moon roof, plus they can tow at least 9000 lbs. with their 5.0 V8s. Speaking of that excellent and proven V8, it produces 385HP and 387 lb-ft. of torque. When you are in the perfectly climate controlled cab you might just forget about the 2100 lbs. that these SuperCrew F-150s can hold in their beds. That’s a lot of cheddar! Lots of room for gold doubloons. We would not even be having this conversation if the F-150 Platinum wasn’t equipped like the opulent Mercedes S-Class. The Platinum goes far beyond the leather seats, chrome accents, and a touchscreen entertainment/navigation system. It offers a 360 degree camera that provides a complete view of your surrounds when you are trying to maneuver around that tight parking lot at the country club. Once you’ve found a parallel parking spot downtown on a Saturday night, these trucks will park themselves with just the push of a button. Not only that, imagine how dignified you’ll look when you pull up to the valet station and as you open your doors, the power deployable running boards lower allowing you do perform an ultra-cool 007-equese entry…suave bow-tie adjustment and all. 360 degree camera in action. Time is money, why spend your money with a masseuse when you can get a similar experience during the commute you are already making each day. Let’s do some math. If we say that your home is slightly farther from work than average, roughly 60 minutes, we now kill two birds with one stone. Each day you will get a massage! For someone who gets a massage each week you are saving $3,120 if you were only use the seats one day per week for a year! However, if you use them every workday that equates to $14,400 worth of free massages each year! Talk about incredible deals and a well massaged back and bottom. Once you’ve worked hard and earned your money, the last thing you want to do is waste it. This month Ford has put together some great offers on new 2015 F-150s. For December, qualified buyers can get 0% financing for 60 months, plus no payments for the first 90 days. Pair that free money with a pair of prices $1500 below invoice on the two manager demo 2015 F-150 Platinums that we have in stock here at Bill Marsh Ford in Kalkaska and you have got yourself an excellent proposition. White F-150 Platinum carries an MSRP of $62,445. A Bill Marsh price including the Demo-discount of $55,067.44 equals $7,377.56 of savings before you calculate all of the cash you save with the 0% financing. You owe it to yourself to have it all this December by giving me call at 231-258-5026, saddling up a dinosaur by sending a fax to 231-258-4192, or by email to sdorland@billmarsh.com to schedule a test drive. 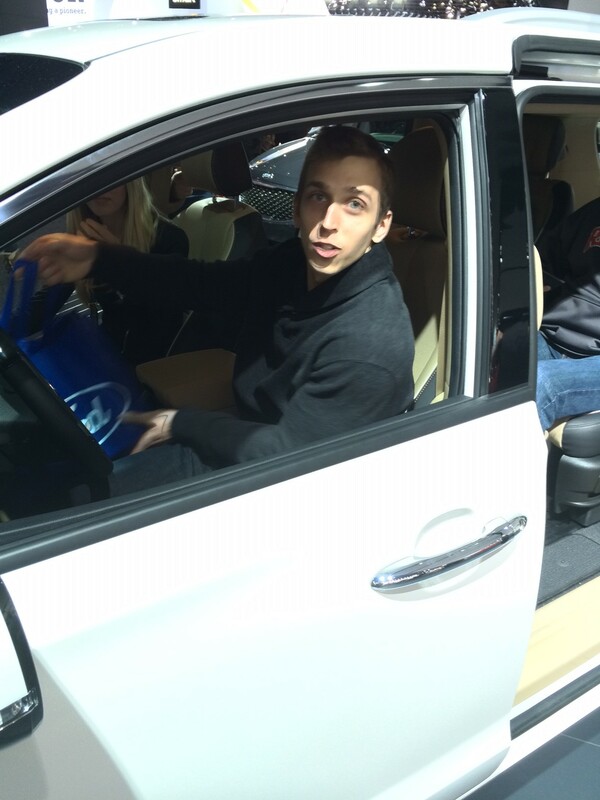 My face after an excellent massage, courtesy of the 2015 F-150 Platinum. This week has marked the end of my first six months in the automotive industry. It’s crazy to think that only just over six months ago I was a savage college kid who didn’t want to grow up, and that last night I ate a salad for dinner and went to bed while the clock still said “PM.” I have already learned a lot, both professionally and personally and I thought my post today would highlight six things I have learned in six months as an automotive professional. Spoiler alert: I didn’t become a boring, super lame adult. I have never been much of a bean-guy, but one day, after I was just starting to accept the fact that I didn’t get to sleep until noon every day, the trainer at our dealership asked me if I drank coffee. After I replied with a solid no he just laughed and said “you will be, if you’re in the car business, you’re in the coffee business.” Low and behold I find myself drinking a cup of coffee as I type this very blog post. Long hours and a normal, adult sleeping schedule leave much to be desired in the being-awake category. Long story short, I wish I would have discovered this magical beverage years ago. Lesson 2: Buying furniture is actually really fun. Not to brag, but big boy jobs come with big boy paychecks. One thing I loved to hate when I was in school was the 1970s era wooden/red cushioned couch that was one of the center pieces of our living room. It sat 3, maybe 5 and served its purpose well. However, I was always yearning for a better place to sit. The first thing I did when I moved into my house was visit local furniture stores and purchase a red leather and suede sectional sofa. It is the best part of my house and I have wondered how I had lived so long without it. Even the buying process was lounge-city, meaning I was lounging on a couch as I signed the paperwork…I wish we could that in the dealership. Lesson 3: A lot of people really, really, really hate buying cars. Lesson 4: Overcoming sales objections is actually really fun. With a Marketing degree that was sales focused, I had plenty of practice handling objections, but nothing could come close to how enjoyable it is to meet a person who thinks that you’re a terrible person trying to rip them off, and proving to them that you really aren’t that bad of a guy. You just love cars, and want to help them find their next one. You don’t want to talk to me? Great. You’re just looking? Awesome, what for? Boats maybe? I have cars here that I can show you. I’m not a terrible person, I’m in fact, actually kind of a nice guy who can explain to you what Ecoboost means. Lesson 5: If you don’t at least consider leasing, you are shooting yourself in the foot. Like car buying in general, so many people have a terrible perception of leasing. So many customer feel like they pay for something for three years and have nothing at the end. This is only partially true, at the end of your lease, if you don’t buy it out you don’t have a car. The other thing you don’t have is negative equity in a car loan on a three year old car that is starting to enter the most unreliable portion of its lifecycle. With leasing all you are doing is paying for just the portion of a car that you are actually going to use, at the end of your term you can choose to buy the car or turn it in and get a brand new model with better equipment and returning lease deals that will lower your payment for your next term. The other common misconception is found when someone says, “I drive too much to lease.” Leases can actually be set up to allow for as many miles as you would ever need. The best part is that after three years you turn in a car with a ton of miles and get a new one, not worrying about trade in value. You would never have unexpected repairs and you always have a warrantied car. Lesson 6: Selling cars is a totally rewarding experience. Cars as the second largest purchase in the average person’s life. Lots of time and though is put into picking out the car you will be spending lots of time in for the next 2-10 years. When you can help someone get something they can be proud of, at a price they can afford, you made a huge positive impact on someone’s life. A perfect example is a guest I leased a car to calling me to tell me how much they love it and how many people they have already showed it to. It is also literally rewarding as it pays my bills #adulting. Just to be clear, I haven’t lost my classic karaoke skills, I still exploit obscure words in an irreverent fashion, and my shorts still don’t come close to touching my knees (some things will just never change). The old saying that if you do what you love, you’ll never work a day in your life is extremely accurate. Over the last six months I have started a new chapter in my life and couldn’t be happier, plus it doesn’t hurt to have to look at the 2016 Mustang next to my desk all day rather than a sea of cubicles. After a beautiful summer, the inevitable has happened. The place I call home, Northern Michigan officially has snow in the forecast. Cue the miserable cold, snow removal, holidays, and everyone’s favorite: slippery roads. Many people in what is affectionately known as the, “Snowbelt,” are probably freaking out. Not me though, I’ve got this “winter” thing all figured out. I have purchased a 4×4 vehicle with plenty of ground clearance, limited-slip differentials, and a huge American V8 that I can use to intentionally make my SUV spin around in an exciting fashion. Do those qualities really make up the perfect winter vehicle though? 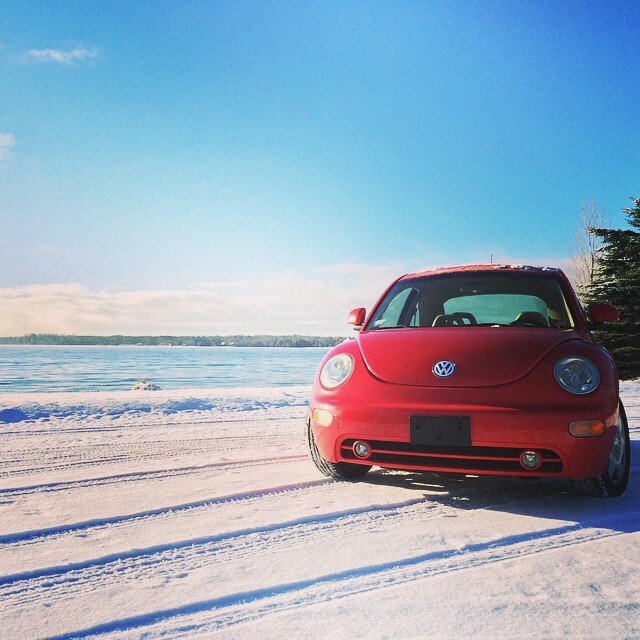 Would I have been just fine driving my beloved VW throughout the coldest, snowiest portion of the year? Today we will find out what makes the perfect winter vehicle and what you need to do to prepare to tackle the snowy hellscape that shows up every winter. If you asked random people what they would want to traverse the roads during the winter months, many would just say what they have always been told and blurt out, “four wheel drive, duh!” And out of those people, some would require a real 4×4 powertrain, while others would be content with all-wheel drive. The first group of these people, the 4×4 fanboys, are terrified of modern engineering. They think that if you don’t have to pull a lever or turn a knob to engage 4×4 you aren’t going to have a chance driving through the half inch of snow many city commuters have to traverse to get to their workplaces. Friends, I’m here to tell you that if you insist your engine drives all four of your wheels you most likely don’t actually need to have a transfer-case (and if you don’t know what a transfer case is, you definitely don’t need one). True four wheel drive trucks and SUVs are best suited for those planning on doing some moderate to extreme off-roading, and don’t even pretend that you will ever do anything that even comes close. 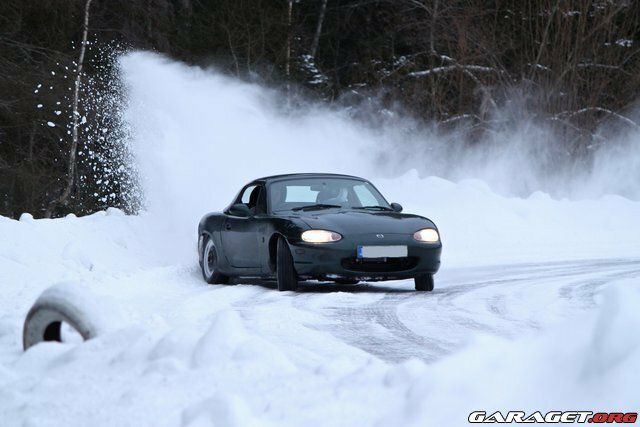 For the rest of us, an awd or even fwd setup will be just fine to help us find traction. Are these so-called “people” correct though? 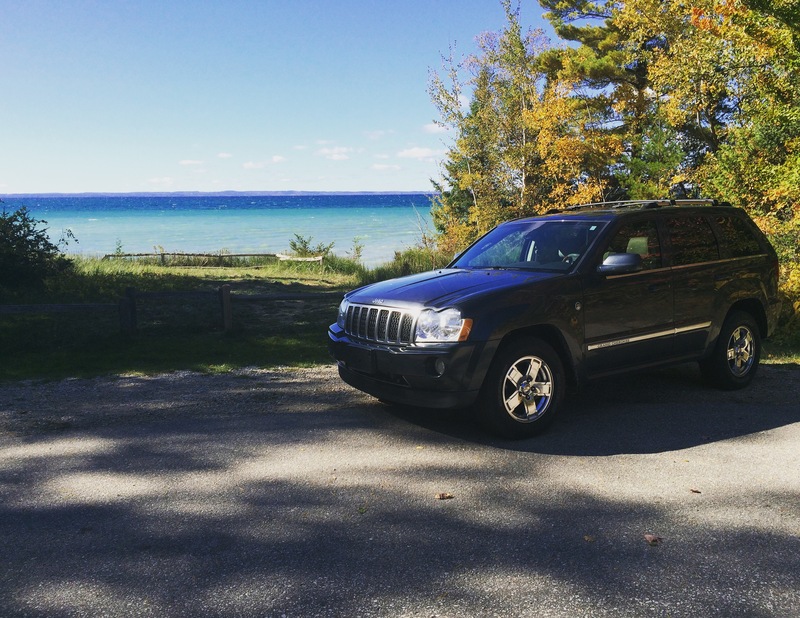 Is 4×4 what you need to survive a winter in a place like northern Michigan? If you are wondering why you are still reading this, you are about to get a bomb of knowledge dropped right onto the screen of whatever it is the kids these days are using the access the internet. The perfect winter car, is literally any car. I’ll save you some time by writing out some comments that I expect readers of this article will be saying. First, the Bugatti Veyron is a terrible winter car, for a climate that gets cold. But it’s the perfect winter car for a drug lord in Miami. 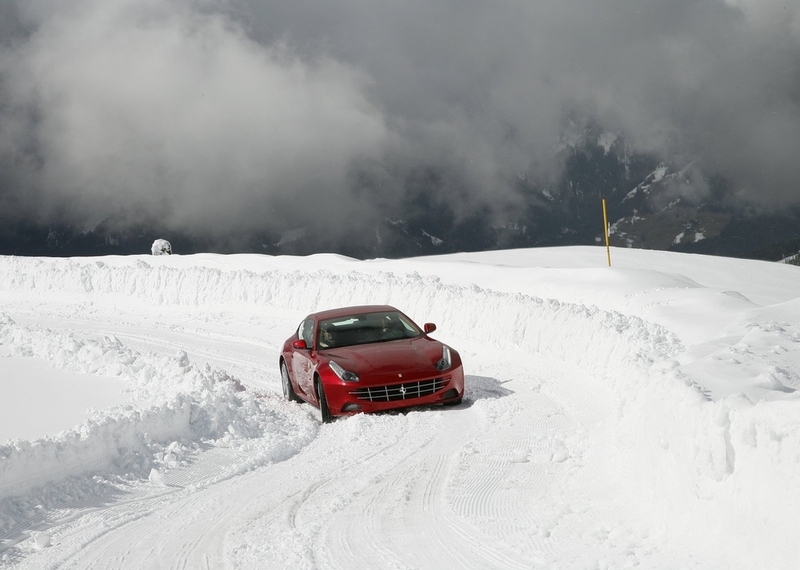 Proper winter or all-season tires will turn any two wheel drive vehicle into a snow conquering chariot. The last two winters have been the two worst I have ever seen. It felt like the small mid-Michigan college town of Big Rapids was moved to a location right off the ice road highlighted in the History Channel show, “Ice Road Truckers.” So I definitely had a 4×4 SUV or truck because I never missed a day of class, right? Absolutely not, the car that got me through many blizzards, and whiteouts was a simple Volkswagen Beetle riding on some nice all-season rubber. I vividly remember driving around many-a-stuck SUV in my underpowered hatchback. With a set of winter tires, I could have probably driven to the North Pole. Tires are the only part of your car that touch the road, and a set of snow tires give you the traction you need to get moving. Want to go one step further and go from extremely capable to truly unstoppable? Put a set of snow tires on an AWD or 4WD SUV and tell me how many feet of snow you effortlessly drove though. So friends, if you have no reason other than snow to purchase something with 4×4 or AWD, don’t! Get the car that you really want, and don’t get too bent out of shape over four months of the year. If an awkwardly tall guy in a VW Beetle can get where he needs to go, so can you in a Ford Fusion with snow tires. 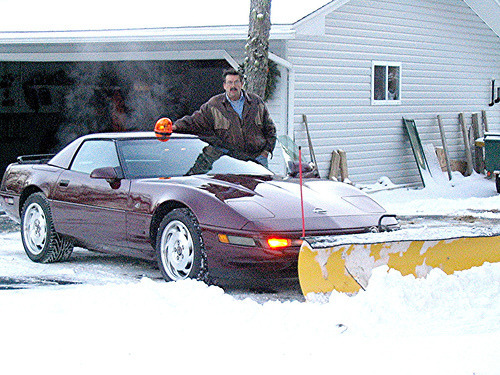 As a little bit of inspiration, I will include many photographs of unlikely vehicles partaking in fun winter activities. The first friend that I made at Ferris, my former roommate, is engaged, to be married! What a joyous occasion. Two people beginning their new lives as a married couple. Many things will change in the lives of Caleb and Alyssa (Leb & Slaw). They will move in together, their lives will intertwine even more than they already have, and Slaw will have to put up with Leb’s love of 80s hair bands. One thing will eventually lead to another and in a few years, our friends Caleb and Alyssa will be expecting a small child. At that time neither Caleb’s Volvo, nor Alyssa’s Pontiac will be able to handle the massive amount of nonsense that comes with parenthood and children. 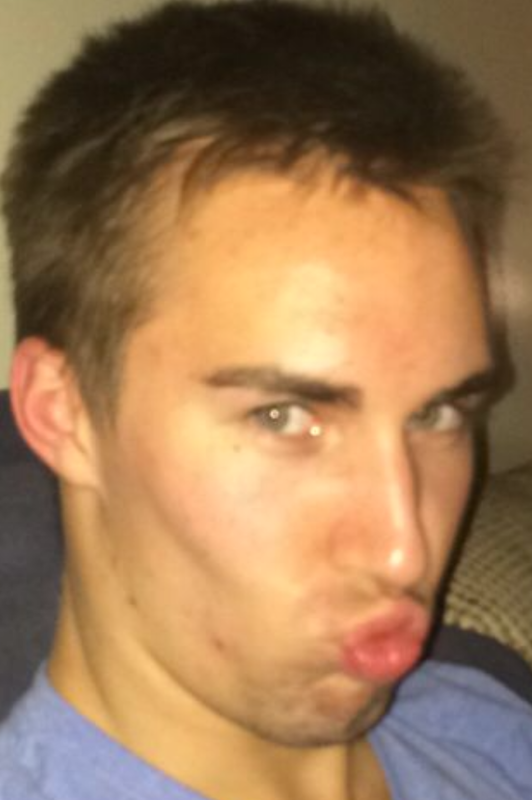 Luckily, our friend Caleb is a sensible young man, and he will purchase a minivan. At this point you might be scratching your head. Why would two twenty-somethings purchase a minivan over the sea of crossovers and small SUVs? Apparently, the rest of the U.S. is asking themselves the same question, according to sales tracking website, www.goodcarbadcar.net, minivan sales were down 14.1% year-over-year last month. I see it every day, people come in looking at new and used crossovers (which are perfectly fine vehicles) because they would “never buy a minivan.” But why not? Why not purchase something that will transport you in comfort, while making your life just a little bit easier. 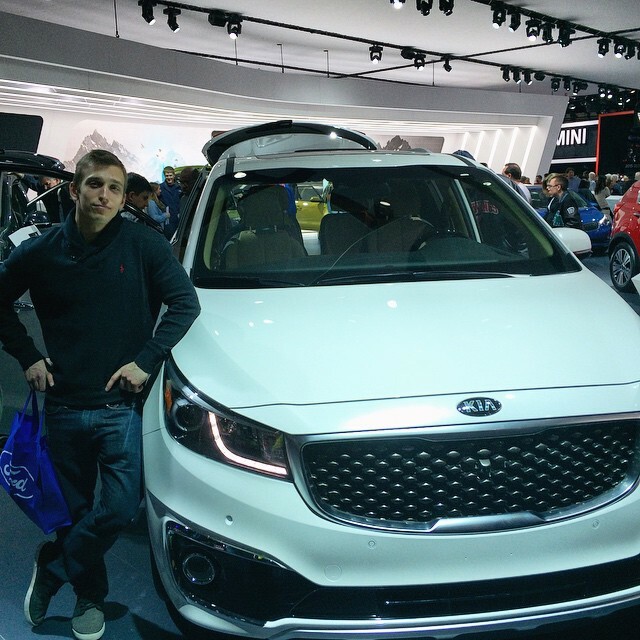 There are three big benefits to owning a minivan, and today I will show you why you should aspire to own one of the least desirable types of vehicles on sale in the United States. The space and layout that you find in a minivan is unmatched by other types of vehicles. Show me another vehicle like the 2015 Chrysler Town and Country in which you can fold five seats into the floor in less than five minutes, creating enough room to transport a large male alligator. Their boxy shapes are great for stowing things and the amount of seating space that comes with it will be something that will be hard to pass up. Modern minivans are basically living rooms on wheels. 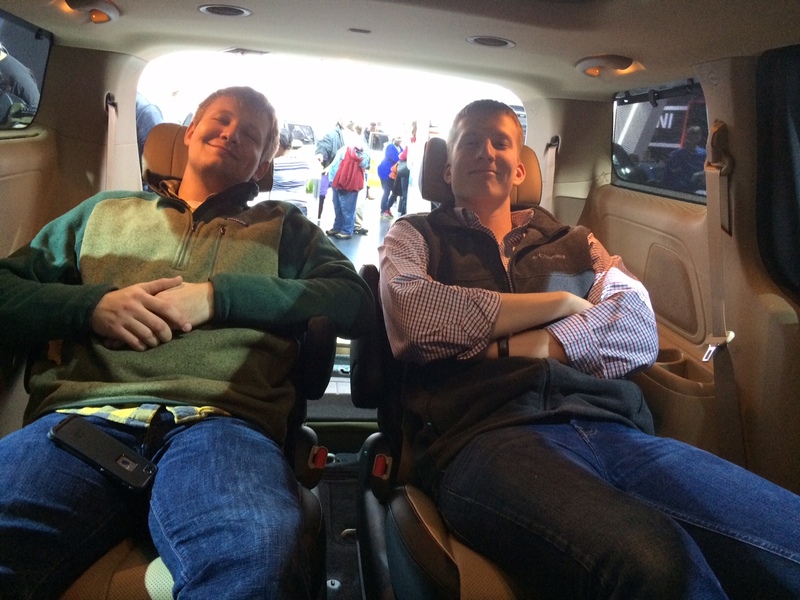 Notice this photo, two human adult males enjoying a break from the North American International Auto Show in the middle row of a 2015 Kia Sedona. Notice how the humans are smiling, reclined, and even have their feet up! This kind of transportation luxury is seldom found outside of the confines of a first-class seat on Delta Airlines. Vans today are loaded up with everything from Blu-ray players to backseat charging stations to keep those jabronis you call children from actually making intelligent conversation. Two guys just enjoying a great van. If James Bond was real, and in the CIA, a minivan is what he would drive. We all like to think that there really is a Sauvé agent 007 driving around in an Aston Martin DB9 taking down criminal masterminds, but what spies really do is blend in and not get noticed. That is exactly what will happen if you drive a van. You will just be some other person driving their kids to soccer practice, only your “kids” are sniper rifles, and “soccer practice” is the assassination of an African dictator. These traits actually also makes the minivan the perfect vehicle for organized crime, you’re welcome members of the Algerian Mafia. The key to purchasing a minivan is acceptance. Chances are you would rather have a sports car, but you should have thought about that when you opted to have a second child. For those normal people who just want a comfortable ride and need to transport the future heirs of their estates a minivan is the only logical choice. Fear not though; as your children will eventually go on to have children of their own. You will be able to downsize to that automatic Corvette you’ve always wanted, and you’ll have never look better arriving to the early bird special at your favorite local buffet. Seven Words and Phrases You Needed to Start Using Yesterday. Your vocabulary is a great way to set yourself apart from the crowd, both personally and professionally. I have decided to put together a list of my most used phrases and words to help out those who care, but that’s not all…I have made the whole list available for the low low price of zero dollar and zero cents. Wow, what a deal. This is a word very close to my heart. Google the word and you will see that it technically means, “a mischievous person,” but technically, it means so much more. You can literally call anyone a rapscallion for doing anything questionable. “Steve stole Kyle’s signature song at karaoke last night,” one friend says to another. “What a Rapscallion.” says the other friend. Rapscallion really stands out these days, it is a great way to show your disapproval of something while still keeping the conversation on the lighter side. Jagaloon is a great word to use along side Rapscallion, the two words together never fail to prove a point. The word Jabroni has no true definition, but I think of it as a person who just doesn’t get it. This person wears cargo shorts with white sunglasses and says the word “bro” way too often. Jabronis care way too much about their image, but they don’t understand that their image isn’t worth caring about. Guy 1: Did you see that last guy in the cargo shorts tee off? Guy 2: Yeah, my grandmother could hit the ball farther…What a Jabroni. In 1964 Supreme Court Justice Potter Stewart famously said “I know it when I see it,” in reference to his person test to obscenity. Today, I’m saying the same phrase can be applied to Jabronis. When you really give something your all, you take it Out For A Rip. This is a great way to let people know that you really are the boss, and that you want everyone to be on the same page. See also: Out For A Major Rip to describe something totally awesome. Man, you really took those tacos Out For A Rip. What better way is there to tell people the state of your effort in any particular activity than a phrase that doesn’t really mean anything? Do you have a friend who always thinks that they know what they are talking about, but never actually do? Well friend, I have the word for you. An Ultracrepidarian is someone who does just that. Flabbergast them next time they try to tell you a fact they think is correct (but totally isn’t) by calling them out. Guy one: Did you know that kangaroos often become best friends with Koalas, conveniently sharing the responsibility of purchasing their favorite beverages for their parties? Guy two: you are so full of it, you Ultracrepidarian. I can’t believe this article is free. This simple phrase is used to make yourself sound important. The reason you did something can always be “for The Fans.” It makes you sound super cool, and who doesn’t want to have fans? Sam: Nice work on that super sweet burnout you did over there, Jack. Jack: Thanks, I did it for the fans. Jack sounds like a super cool dude. What do you say when someone really nails it with something that they said? Do you say, “wow, I can’t believe that you were right?” No, of course not, you proclaim this phrase, stating that they knew it all along. It’s a great way to end an awkward interaction about a news story or to wrap a conversation about something that happened in the past. Tim: Man, I can’t believe that new Fast and Furious movie was terrible. Dave: Yeah, it sucked. Although I remember Will telling me years ago that they were going to take that franchise too far. Tim: Wow, I guess he Knew What He Didn’t Know. Say that line at the next party you attend. SUPER BONUS: Take any word and abbreviate it, you’ll make anything sound fresh, and you save tons of valuable time. That was a delicious Zza. Full Disclosure: This article was written by a jagaloon who thinks he is starting to figure things out. Read at your own risk. 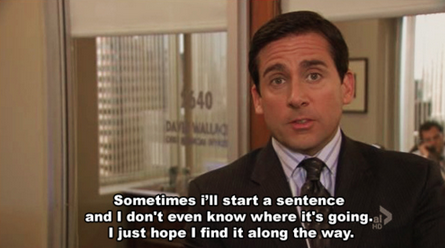 Michael Scott, former regional manager of Dunder Mifflin Scranton said it best. What most people don’t realize is that mo problems isn’t always a bad thing. The college lifestyle is so simple. You pick your schedule, you have no real commitments, you do whatever you want, and you never realize that you will won’t experience that feeling again until you retire. In college, you typically have limited to no money, and you either realize something, or you remember it: that people and experience are what it’s all about, and having some extra cash to spice things up is just a bonus. I miss college, I would go back and do it all over in a heartbeat. Fortunately though, I’m no time-traveler. I’m forced to be an adult now and deal with adult issues. Which actually sounds about as fun as licking a wet dog, but it’s actually an opportunity to make the most out of what you learned, both in and out of the classroom. It’s been three month since I graduated from Ferris State University. In those three months I’ve moved into my own house, started my career, and I’ve made many adult decisions (many of which I documented with my innovative Twitter hashtag, #adulting). The common thread amongst all of these things is that they all come from or with my newly found cash flow. For me, and many of my classmates, that simple lifestyle we enjoyed in school is over. Reality check to anyone who is still in school: Someday you will have to figure out your own healthcare plan. Spoiler Alert: It’s not as fun as it sounds. Mutual funds are a real thing, you have to schedule your own dentist appointments, and getting up before 7am is something you stop complaining about. Buying a new car becomes a viable option, and you learn that there is actually some joy in buying furniture and visiting home improvement stores. Everyday in your adult life, you are bombarded with problems. How do you best minimize the risk in your stock portfolio? Can you get away with not ironing that shirt for work? How much dental coverage should you have through your workplace’s insurance policy? Is it okay to keep ordering pizza for dinner every other night? Why don’t all of your friends live two seconds from you anymore? What is your favorite mircobrew? Luckily, you have been preparing for all of these questions and more for the last four (or more) years. The thing about having no money and a simple lifestyle is that you find out very quickly what is important to you, and where your priorities lie. Life may seem like it’s nothing but questions, problems, and issues, but you just have to remember that even though your income has changed, you haven’t. Every hard decision you have to make only helps prepare you even more for the next one. There’s an old African proverb that goes, ” calms seas do not make skilled sailors.” Every time you have to make a tough choice, like deciding between a blue Porsche and a red one, you learn something. Life would be boring if you never had to make a tough choice, and many times those tough choices will result in great decisions. The important thing to remember is that no matter how much money, how many problems, or how many Porsches you have, you are still that person who somehow lived on Taco Bell and Natty. 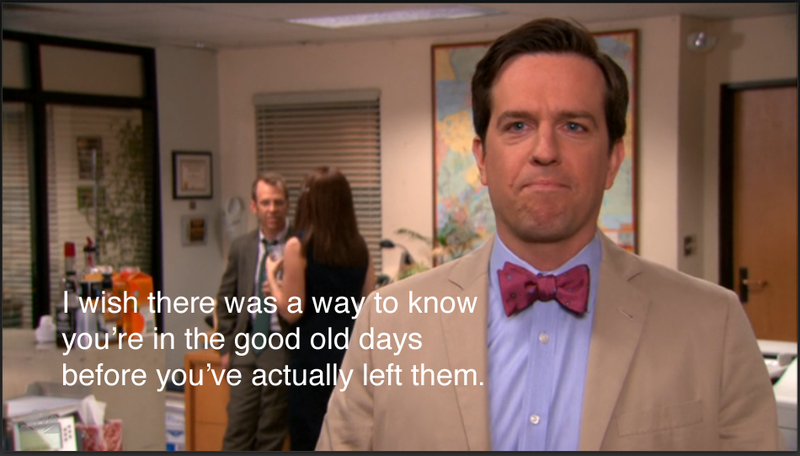 In the last episode of the last season of the greatest show ever, The Office, Andy Bernard is reminiscing on his time with Dunder Mifflin. Throughout the series he goes through a roller coaster of situations (many very very unfortunate), but at the end of the day, all of the problems and issues that he when through lead to his dream job. Someday when you look back at your life, you will think about all the great times you’ve had, and if you can just remember that you are always in the good old days you will get to enjoy them to the fullest, twice.